Tamagotchi, grunge, R&B and the Nokia 3210 – the 1990s were definitely a distinctive decade. 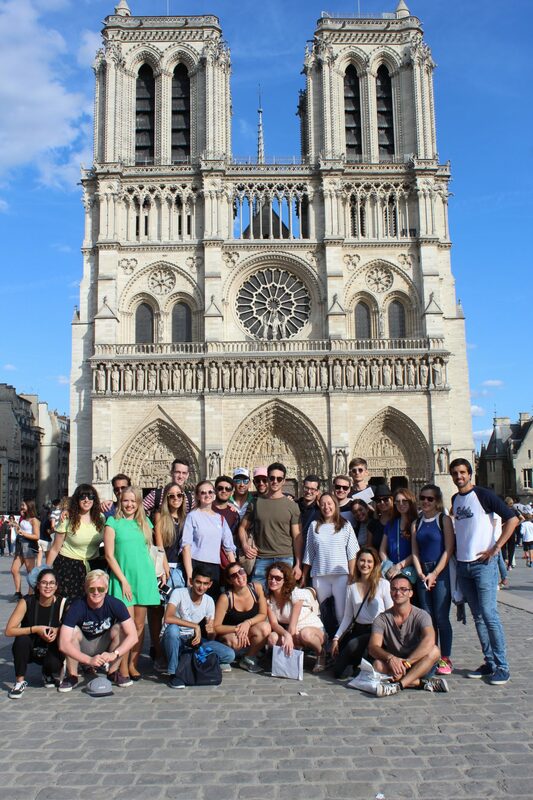 You can experience this special period during the Short Summer Course “Get Nostalgic in Paris 90’s” by AEGEE-Paris. This Summer University starts on 25th of August and ends on the 31st of August. 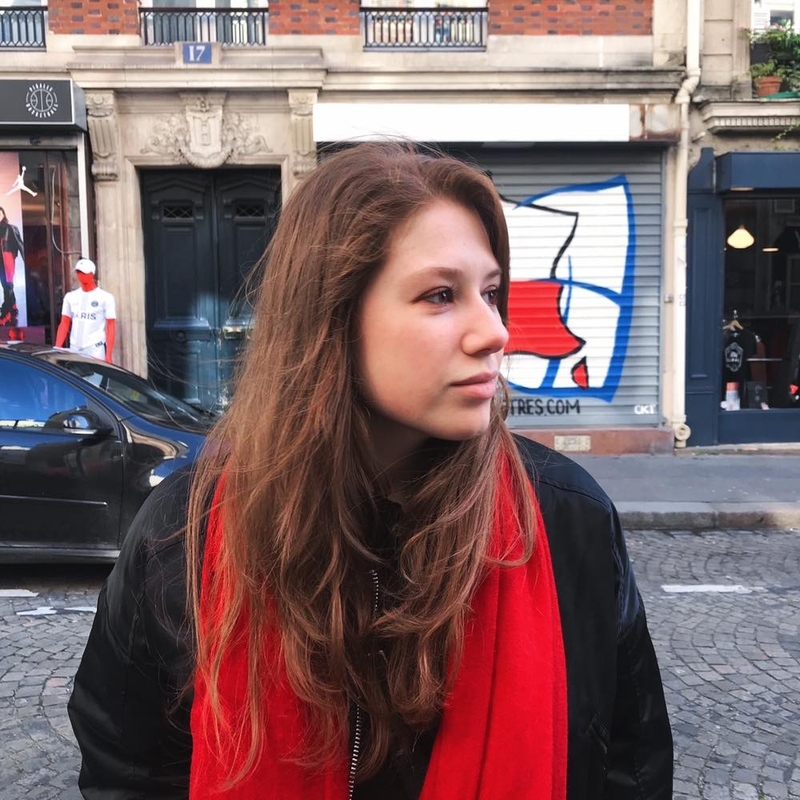 Anastasiia “Nastia” Gryn, Incoming Responsible and Treasurer of AEGEE-Paris and Content Manager Lila Quaile tel you what the event is all about. Golden Times: The topic of your Summer University is very unique. How did you get the idea of making an SU focused on the 90s? Nastia Gryn: We are all from the 90s and for us this period is associated with the best memories. And you know, sometimes we all want to come back to childhood. So we were thinking why not give our participants the unique opportunity to experience the Paris of the 90s – with its special atmosphere and with joyful Disneyland. Lila Quaile: It was actually our main organiser’s idea, Mounia. She has never been to Disneyland and she wanted to bring our participants there. As Disneyland was edified in 1992 we thought about making the whole SU about the 90s. GT: What are your personal memories from the 1990s? Lila (smiles): Well, actually we are all born in the mid or late 90s, so we do not have a lot of memories to share. Personally the only memory I have from this period is that I was watching a lot of Disney movies on the cathodic TV! Nastia (laughs): I remember our first PC and the Nokia phone. GT: How will the Summer University topic play out? What kind of 90s activities des it include? Lila: The topic will be present from A to Z! All our workshops, city tours and excursions will include this thematic. We want people to remember why the 90s were so cool and recover their heart of a carefree kid. But the 90s has also its dark moment, especially in Paris: one day of the SU will focus on the recognition of the LGBT community because a lot of important events happened in Paris for this community and it was important for us to teach this part of Paris history to our participants. And of course we will have a day to Disneyland – this excursion will be the highlight of our SU! GT: Can you tell us more about your visit to Disneyland Paris? Lila: The Disneyland visit is the heart of our SU. It is a really special place where you can be a child again and no one will judge you. The participants will have the opportunity to spend the whole day there from the opening to the closing! GT: Paris is a place you can visit for years and discover new things every day. Which highlight places will you show your participants? Lila: When AEGEEans come to Paris they want to visit the typical places such as Montmartre, Notre-Dame, La Tour Eiffel, Le Musée du Louvre. Our participants will therefore visit these places but throughout the 90s spectrum and providing them some anecdotes. 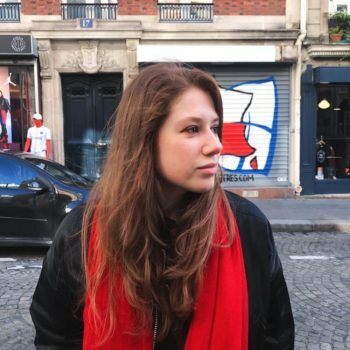 Nastia: In addition to this we will visit some atypical Paris places connected to the 90s, but we will keep them in secret so far. GT: Aside from the mentioned ones, what other workshops or other thematic highlights will there be? Lila: One of the highlights will be the day that is dedicated to the recognition of the LGBT community during the 90s. Besides that, we will also tackle the thematic of contemporary art and urban culture from the 90s because Paris is full of beautiful art places. Our event lasts only one week and our schedule is already pretty full as you cannot see all of what Paris has to offer in just seven days! GT: Can you say a few sentences about your antenna: what makes it special? Nastia: There are so many things to say actually! First of all we are the founding antenna of the whole association and it always feels nice to realize that it all started from here. Another special thing is our team: we are few, but we are very close friends. This helps us to organize incredible events and to have lots of fun together! Our other strength is diversity: in our core team we are French, Italian and Ukrainian and it helps us to have different perspectives. And in addition to this, we are in Paris, a very special, romantic and adorable city of love and lights. Isn’t it special…? Nastia: We have created our Facebook event, where we would be posting details about our SU and revealing some secrets. So don’t miss it – put “participate” on our event! And of course interested people can always write us an e-mail with their questions to aegee.paris.event@gmail.com. We will always be happy to answer! GT: Anything you would like to add? Do you have a message to potential applicants? 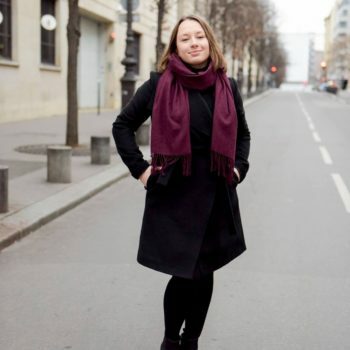 Nastia: Dear potential applicants, charming Paris and our team are inviting you to experience a Paris of the 90s adventure together, so come on buddy, let’s go party like in the time when we were still some carefree kids! 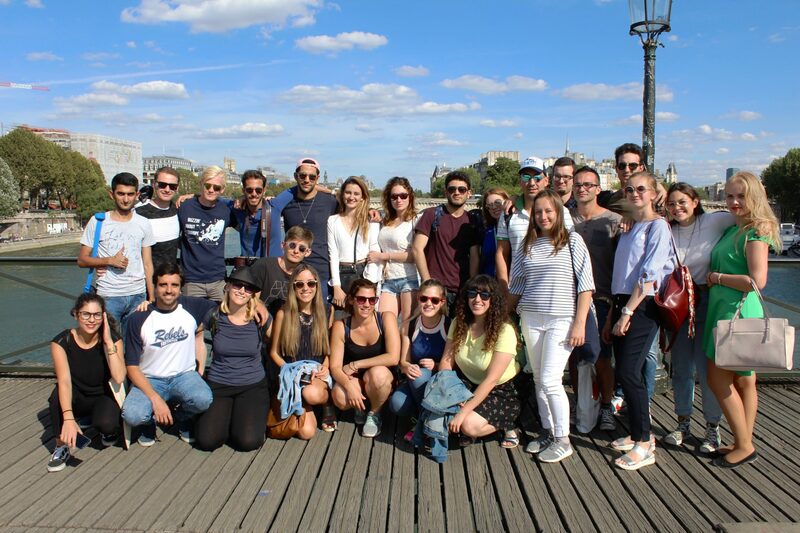 Last year’s Summer event in Paris – experience the hospitality of AEGEE’s first antenna!